Family will always be family. So when I heard that my nephew wanted to go back to school to finish his Secondary Education, I responded to his wishes. My husband and I talked about it and he supported my decision to help send my nephew to back to school. So just yesterday, my nephew graduated from High School and my blog earnings helped him achieve it. No, he didn’t get any honorable mentions but he got what he wanted – his high school diploma! He has lots of dreams in life and that is what triggered me to help him. I was not able to attend his graduation ceremony. Though I paid for his tuition fees and weekly allowances, I still believe that his parents, my brother and his wife, should take all the credit. They made him a strong lad with big dreams and I was just there to help them. But after his graduation ceremony, I treated them to an eat-all-you-can lunch together with my husband and my kids. Then, I give him a small amount of money as a graduation gift. Though he is not my child, I felt good that my blog earnings were able to send him to school. I also felt that his achievement was my achievement too. Anyway, if God-willing and more blessings will come my way, I still want to help him out in college but not as fully committed as before. My eldest is also graduating this Monday from Elementary and will be in High School next year. Since we are transferring her to a private school, I might not have enough funds to fully support a college student. But, just like what I said, I will still help in my own way. I really thank God I found blogging! Aside from earning in the comforts of my home, I get to spend time with my family and be able to help others as well. To my nephew, congratulations!! May you achieve all your desires in life. Aim High! Hala ka! Ayaw kaulaw. It would be nice to know someone who will have his story in MMK. I want to see that!! go go go sir rob… mommy Rubz, write just one story..would love to see that too! you’ll be blessed much more for ur generosity, thanks for sharing such an inspiring story. Weee! Congrats, Mommy and to your nephew! You have such a HUGE heart. HE will surely bless you more! congrats mommy! ay sa nephew mo pala..hehehe..GOd will bless you more because youe able to help other people..
they say when you help out someone it comes back three folds, not that we’re expecting something in return but that explains all the blessings you/we receive everyday! Thanks Icar! Yes, God sends unexpected blessings almost everyday! wow, praise you mommy rubz and congratulations to your nephew! All glory belongs to HIM alone Mommy! He made us able to provide for others. God is always good! You have a good heart Mommy Rub. God will bless you even more. Congratulations to your nephew. Congrats! I can relate. My pinapaaral din akong niece. Graduating na din sya this coming March 27. Ang sarap ng feeling pag may natulungan kang ibang tao. You are a good person marz, that is why blessings come back to you always. I’m sure you noticed, help comes to you when you need it most… that is because you give out help – no matter how small – to those who always need it most. God bless you always! And congrats to your nephew. Congratulations to your nephew, Mommy! I am happy to see achievements like this. And, congrats to you, too. I’m sure the efforts you’ve extended is beyond compare! It always is amazing when there are people by the sideways who are there to support you. In your nephew’s case, it was you. And yes, all glory belongs to Him so praise God for the providence all through this day! Congratulations to your nephew! Blogging has really been a blessing to us all, specially to you! Congratulations on your nephew’s achievement!! I hope to be able to make enough money blogging to pay for my son’s college books. 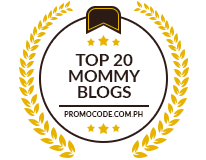 salamat sa kwento sis….we need this, lalo na sa mga corporate slave na katulad natin…at lalo na sa mga corporate slave na hindi pa din nakakawala sa pangil nito..inspiration ang mga ganitong post….Hmmmmm gawa nga tayo ng “What blogging has given me / or has bought me”. congratulations to yout nephew and to you also Mommy, i don’t know why but i am teary eyed while reading your blog post. Maybe because in one way or another I am also helping my nephew and nieces in my our little way. I’ll be really happy if one day I saw them graduate..
yes, family will always be family.. They will always accept and love you for who you are when other people doesnt seem to care.. lol and wow happy graduation to them.. my mom told me that it’s always a mother’s pride whenever her kid graduates.. Though he is not your child, I can feel the happiness in your heart..
so heartwarming. your kind heart with be blessed a thousand fold and im sure your nephew seeing you and his parents as an example would strive more for success. Congratulations to your nephew and to you as well. For me, its a big achievement to be able to help other get to their dreams. Congratulations Ruby and to your nephew. Great blessings to your family. Ang galing Mommy! Congrats to your nephew at sayo na rin. Blogging didn’t just helped your family but it also allowed you to help others. Cheers to you and may you receive more blessings. Tapos share mo samin hehehe. More blessings are coming your way sis.. mao daw na, the more you give, the more you receive. You are such a loving and giving aunt. Congratulations to you and your nephew. You are inspiration to us newbie bloggers. A very inspiring story! Your nephew is very lucky to have you. That’s so nice of you to help your nephew. that’s great mommy rubz:-) you really have a big and generous heart. your family is blessed to have you. 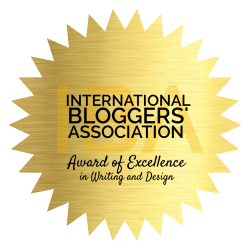 keep on blogging and doing good! wow! so nice the feeling that you were able to share ur blessings(financially) to others..Congrats to him and to you Ate! congratulations! wow mommy Rubz! would love to do that too someday, but for now, i don’t earn that much from blogging and what i earn, just goes to the food on our table. but would really love to share my blessings one of these days. congrats again to your nephew and to you as well! galing mo talaga sis pagdating sa pagblblog! Wow, congratulation. Its very enjoyable moment in our life. Thanks for sharing this cute snaps with us. Hi,Nice post.You can use css with tables too if you want only difference is positioning divs are much more customizable then cells of a table and I guess people say loading time which with fast internet connections today doesn’t pose the problems it once did.